Vantage Homes CEO and Board Member for Housing & Building Association of Colorado Springs Elected to HBI Position for 2018; Will Help Turn Local Vocational Program Into National Model. George Hess — CEO and founder of Vantage Homes and current CSHBA board member — has been elected Chairman of the Board for the Home Builders Institute (HBI). 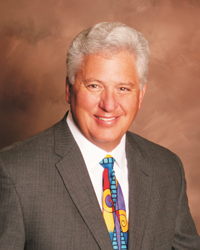 The Housing & Building Association of Colorado Springs (CSHBA) today announced that George Hess — CEO and founder of Vantage Homes and current CSHBA board member — has been elected Chairman of the Board for the Home Builders Institute (HBI). HBI is the educational affiliate of the National Association of Home Builders (NAHB) and a leader in construction training and education. Hess was elected at an annual Board of Trustees meeting in early January. Hess also serves on the CSHBA Board of Directors and chairs the HBA Workforce Development Committee. He and other industry leaders were instrumental in spearheading the effort that evolved into Careers in Construction (CIC), the CSHBA's nonprofit workforce development initiative that is successfully bringing trade education back into local high school classrooms. Launched in 2015 in response to a local skilled labor shortage and high school dropout rates, the program introduces students to the basics of construction and is designed to lead them directly to a job after high school, to a trade school or to a traditional college. Today more than 300 students from four school districts across the Pikes Peak region participate in the program. Hess will serve as HBI chairman until January 2019. He joins Vice Chairman Robert Couch (Bradley, Arant, Boult, Cummings) and four new trustees – David Jeffers (Council of Federal Home Loan Banks), Tony Mancini (SGC Horizon Building Group), Robert Loffredo (Snap-on Inc.) and Michael Strech (North State Building Industry Association) – with Angelo Marasco (ODL, Inc.) being reappointed to a second three-year term. Homes are a cornerstone of the American dream and a major driver of our economy. The Housing & Building Association of Colorado Springs (CSHBA) was founded in 1950 as the voice of the homebuilding community and associated trades. We advance best practices, advocate for affordable housing, contribute expertise to regional development issues and serve our community through our workforce initiatives and HBA Cares programs. Find out how we’re helping to build a better Colorado Springs at cshba.com and hbacares.org. NAHB's educational arm, HBI, is a national leader for career training in the building industry. It provides students the skills and experience they need for successful careers through pre-apprenticeship training, job placement services, mentoring, certification programs, textbooks and curricula. With an 80 percent job placement rate for graduates, HBI training programs are taught in local communities across the country to youth, veterans, displaced workers and other underserved populations. HBI training programs do more than just provide job skills; they also build character and self-esteem, helping to provide students with the skills they need to succeed on the job and in life.